Bradley Chalmers caught this amazing Brown Trout whilst Pike fishing! The fish took a whole Mackerel fished under a float and gave a hell of a fight even though it was on Pike gear. The fish was safely returned to fight another day. 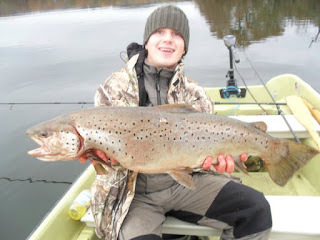 Brad looks well chuffed with this Trout!